British interior design in the 1970s may not have stood the test of time, but on the other side of the pond, the era brought some seriously chic décor. With its laid-back vibes, curvaceous shapes and statement pieces, take inspiration from the USA’s West Coast and create an on-trend 70s Californian interior style in your home. It’s all about creating a surfer’s paradise, combining a blend of relaxed ambience and hip furnishings. Bring that Palm Springs feel to your home with our rundown of the Californian must-haves for that retro 70s touch. To make your Californian-inspired interior design work, you need to get the colours on the walls right. A rule of thumb is the darker the floors, the lighter the walls to create super-cool contrast. White is allowed in this 70s décor but try adding a touch of pizazz with light hues of blue and green to mirror the ocean, or pink to bring a more cosmopolitan feel. An iconic feature of 1970s Californian décor, a low-slung sofa invites you to kick back and relax. Choose swathes of velvet in dark blues and greens to truly get that surfer look and make your sofa as tempting as a dip in the cool Pacific. You can’t talk about California in the 1970s without a nod to rock n roll and disco. Deck your walls with 70s band posters and framed LPs, and embrace the bold, shiny textures and styles of the discotheque in your fabrics and furnishings. Oh, and don’t forget a vinyl player – the perfect accessory. It’s all about a statement geometric pattern to really make this style. These can be as subtle or as out-there as you want to go – from having a full feature wall to just a simple lamp shade – but having some form of bold geometric print is a must. 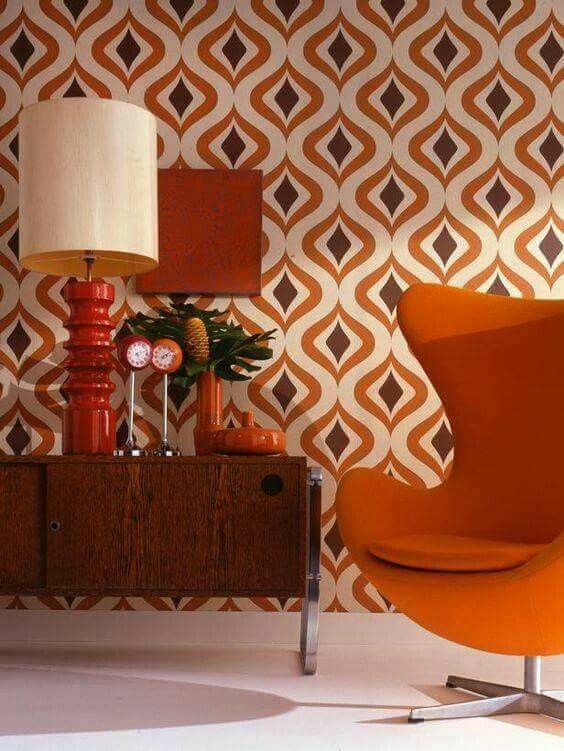 It might seem a décor faux-paus to mix materials in one room, but it’s key to achieving this 70s-inspired look. A big one to look out for is the brass-marble combo, bringing the beautiful shimmer of metal and the intricate detail on marble together. Oh yes, this staple in 70s design was on the West Coast of the USA – but used in a far cooler way than it was here in the UK! Rather than a full carpet, we’re talking about a soft shag pile rug to blend effortlessly in with your décor. No bland colours either – get a soft burst of pink or yellow, or opt for a statement patterned look. No Californian interior is complete without bringing some of the beach indoors to give it that coastal feel. We’re not saying have a whole shelf full of shells and driftwood but incorporating a few seriously rad shaped faux shells will add to the 70s vibe.